Rusty Pacemaker is both the pseudonym and the band name of a multi-instrumentalist genius or Austrian descent. The band itself has its origins back in 2003 when he decided to begin creating his own music. Having both the necessary talents and ressources, he sat down and played all the instruments and wrote and sang everything himself. And, seven years later, he opened his own record company Solanum Records, which only gave him even more autonomy. 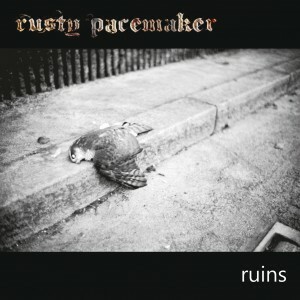 make sure to read our review of Rusty Pacemaker’s Ruins here. Metal Revolution: For those of our readers who have not had the pleasure to listen to your music, could you quickly describe the feel and premise behind your band? 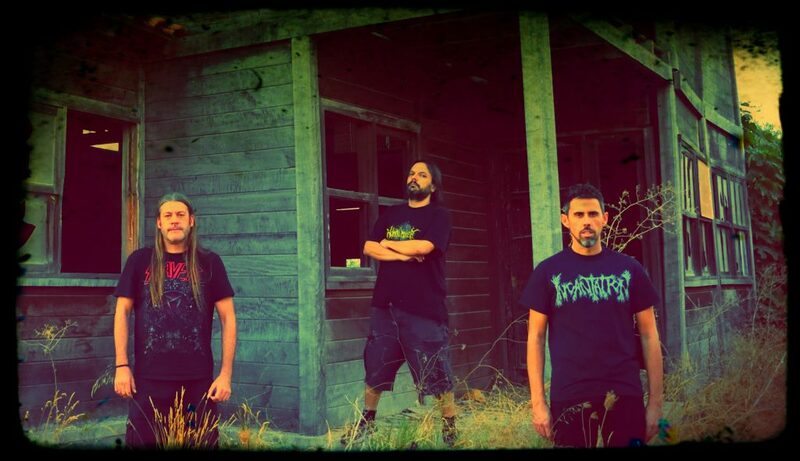 Rusty Hessel: Actually I consider my band as a solo project. My friend Franz Löchinger who is a professional drummer features his extraordinary skills for my project. Further I have a female singer, Lady K, who lends me her beautiful voice for a few parts in my songs. Both are included in the project mainly when it comes to record an album. Songwriting and preproduction is all done by myself in my studio. The project Rusty Pacemaker is some kind an artistic vision I have since I played a guitar the first time. I started to play guitar pretty late, when I was about 28 years old. That moment was like opening a valve where creativity started to flow. I never thought about founding a band in a classic constellation, I think I wouldn’t have enough self-confidence to play in such one. Once I produced the first tones on my guitar I wanted to write my own songs and create my own sound. I did everything without taking lessons on any instrument, I never practiced other songs than my own. Consequently I can only play 20 songs on the guitar, the ones from my debut album ’Blackness and White Light’ and the ones from ’ruins’. I have built my White Studio and I founded the label Solanum Records in order to be able to release my music. My project is my passion. It is a lot of work doing everything by myself but at the same time it is extremely satisfying as I can follow my vision uncompromisingly. MR: As for your name, Rusty Pacemaker, is their a story or idea behind it? RP: Rusty has been my nickname since my youth. A friend of mine started to call me Rusty because of my red hair. Years later when I started my musical career I thought about a name of my project and soon the word ’pacemaker’ came to my mind which I just added to my nickname. I thought it is a nice word play and sounds similar to Lemmy Kilmister. What I always liked is that someone could not guess of a specific genre just because of the name. 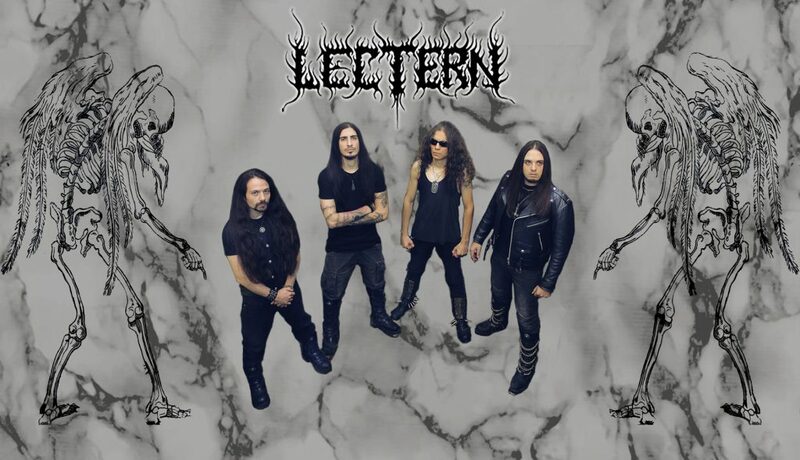 It is not a typical name for a Gothic, Death or whatever Metal band. I didn’t want my pseudonym to give an idea of what my music could sound like. Musically I like to experiment and cross over different genres and that’s why I prefered a name like this. MR: You have admitted to being heavily influenced by Quorton of Bathory fame. How do you feel exactly this has affected your career? RP: It is true that I admire Quorthon. I love all of his music, from the raw Death/Black to the Viking Metal and also his solo albums. He was a genius. Mainly I feel inspired by him as being an artist. I was always impressed of his uncompromising way of creating his art. I can honestly say that I never wanted to sound like Bathory or Quorthon, I never wanted to sound like any other band. I always wanted to create my own individual style. Nevertheless in several reviews the journalists commented that Bathorys influence can be heard, what seems really interesting to me. Thinking about it now I would say that possibly my music shows elements of both, the Bathory stuff and the Quorthon solo material. Maybe it is a bit of a mixture of these two styles still hoping that I have created my own individual sound. Of course I feel honored when my albums are being compared to Bathory although I have to say that as a musician and artist I feel far, far away from the genius Quorthon. MR: When I first listened to Ruins, I had a very hard time finding anything else quite like it, which is quite impressive. Other than Bathory, who have you drawn inspiration from? RP: Well, thank you very much! I always like it when people tell me that my music can hardly be compared or catagorized. As I told you before it has never been my intention to sound like any certain band or artist. I truly don’t care about genres or specific styles. Sometimes I feel that I don’t have control over my songwriting anyway and I find myself surprised by my own compositions what is an amazing feeling. Generally one could say that my music is Rock/Metal but I don’t want to be labeled and put into a specific genre such as Gothic or Doom Metal. I like to use elements of these genres, also Black Metal or Classic Hard Rock and Heavy Metal but in the end I see it as a compliment that my music can hardly be categorized. Anyway, I am convinced that all the music I love and listen to influences my creations, that is unavoidable. Without Black Sabbath, Metal Music would maybe not exist like it does today. Many bands refer to Sabbath and so do I. If you would like me to name other bands I feel inspired by, then I would say Tiamat, Anathema, Enslaved or The Blood Divine for example. MR: Ruins is your second full-length release. How do you feel that your sound and aim with the band has changed since Blackness and White Light? RP: When producing my debut album ‚Blackness and White Light‘ I did everything the first time, songwriting, recording and production. I was not experienced at all and for sure one could hear this, especially in the production but also in the songwriting. I would say that ‚ruins‘ is heavier and more Metal influenced than ‚Blackness and White Light‘ which I would describe more as Dark Rock. Before I recorded ’ruins’ I have rebuilt my studio to set a new standard. This and the fact that the album has been mixed and mastered by Markus Stock (Empyrium, The Vision Bleak) makes a big difference in sound and production. ’ruins’ is a very well produced album while I consider ’Blackness and White Light’ more as a demo today although sometimes I wonder that the overall sound of it is not so bad at all. MR: Having built a very solid repertoire of tracks to pick from, do you plan to go touring in order to commemorate the release of Ruins? RP: For now there are no plans to tour or perform live. This is mainly due to my private situation which I don’t want to discuss here. Generally my drive is to create music, to write and record songs. To be on stage is not seductive enough for me, it seems. But perhaps I feel this way, cause I never did before. Anyway, never say never and if the fans want me to hit the stage I probably will one day. MR: When can we expect another release from you? RP: That is a question I would love to be able to answer right now but honestly, I can’t. I make music besides my regular job and I don’t have so much time to write and record as I would love to what makes it hard to tell when I will be back with album number three. Talking about future plans I can tell you that I have some ideas in my head and I started to record a few of them already. I don’t have a finished song at the moment but I do have fragments, riffs, melody lines for a few songs. I also wrote down some lyrics yet and I chose a working title for my next album which I won’t tell you right now. I love to experiment and I will come up with some changes, some new ideas and sounds, I guess. But everything is still too far away at the moment although on every single day of my life I am thinking about my songs and my music even if I don’t touch the guitar for a while because of lack of time. A new Rusty Pacemaker album will come, that’s for sure. MR: Thank you for your time. RP: Brian, I thank you for your support and your interest in my project. Further I would like to thank all the readers who have come this far and read these words right now. I invite you to visit me on www.rustypacemaker.com and to be my friend on Facebook. Stay dark, Rusty.